Grain Free Dog Food – Good or Bad? 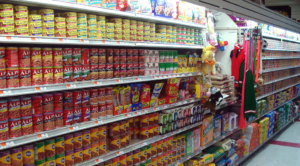 Can Humans Survive on Dog Food? Finding the right food for your furry bestie is a science of its own, and it might take some time before you find a brand that works and a food type that is good for your pup – but also that he or she will like and enjoy. 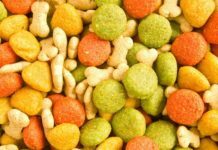 A big step in the right direction in education and acquiring knowledge, and there are quite a few things that most dog owners might be unaware of, in regards to dog food and its ingredients! Let’s have a look at a few facts to see if what else there is to learn about the food we feed to our dogs. Vegetarian and vegan diets may be popular among humans, but dogs need meat and protein for their bodies to function properly. 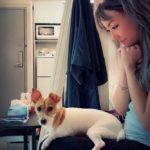 Most scientists are convinced that dogs are carnivores, yet some argue they may be omnivores, but regardless of which – it is agreed that they don’t thrive on a meatless diet, and the only reason you would feed a diet without meat is if your dog has some type of a food allergy or sensitivity. Make sure your dog food contains real meat high up on the ingredients’ list. What you see isn’t always what you get when it comes to dog food, and just because the bag has a big juicy steak pictured on the package – there isn’t necessarily real meat inside the bag. What many dog owners are not aware of is that what is reflected on the outside may not represent what the kibble or wet food truly contains. Make it a habit to flip the container over to read through the ingredients’ list, and don’t be too surprised if you find that your dog food does not actually contain meat, but only “meat flavor” (artificial). At this point, there is no rules or laws to prevent dog food manufacturers from using a packaging that makes the food look better than it is, as long as they don’t state in words that it contains something that it doesn’t. This basically means that it is completely fine for them to decorate their food bags with juicy steaks or delicious grilled chicken, as long as the food contains the flavor in question. No real meat needed. A good rule of thumb is that most high-quality dog food products don’t use this type of marketing, and their food packaging tends to be more discrete and toned down. 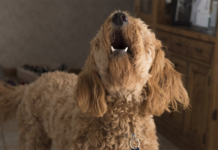 Low-quality brands, however, will often show all types of delicious food items to have you believe you are feeding your pup something you yourself would be happy to eat (which, more often than not, isn’t the case). Animal by-products sound a lot better than it is; because while you might think “hey, dog’s eat meat, so this must be good” – it isn’t. These types of ingredients usually come from left-overs at a slaughterhouse, and it could be any part of the slaughtered animal such as bird beaks, bone, feet etc. etc. Basically, animal by-products refer to any slaughterhouse left-overs that were deemed unfit for being sold for human consumption, and there is no guarantee that it contains enough protein to meet the needs of your pet. 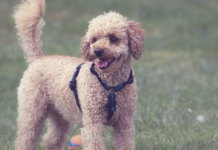 The idea that grain free dog food is better than dog food with grains gained popularity in recent years, as experts claimed dogs thrive when fed a diet close to what their wild ancestors would have eaten in the past. 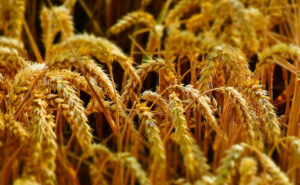 There has, however, been some controversy in recent years, where there have been indicators that grain free dog food might be linked to heart problems in dogs. Naturally, this alarmed a lot of dog owners, so what is the truth? 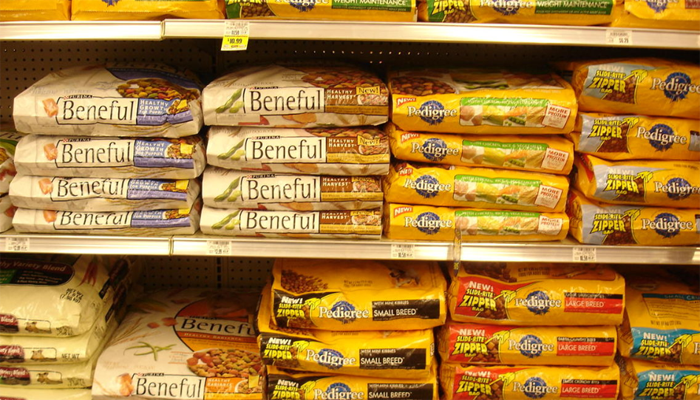 Is grain-free dog food bad? The answer is – it depends. Just like with any dog food, it is all about quality. It is important to pick a product that uses natural organic ingredients and adequate levels of protein, and since these studies came out, most respectable dog food brands have adjusted their ingredients by adding additional taurine. 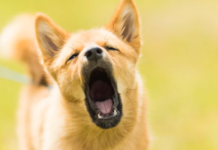 Lack of taurine is speculated to be the actual cause of any heart problems, and not the dog food being grain free, so at this point – you should not worry about feeding your pup a grain-free diet, as long as you have chosen a quality brand. For those who know to avoid animal by-products, there is some general confusion regarding meat meal; what it is, and whether it is good or bad for your dog. Some assume that meat meal and animal by-products are the same, and while there is a connection – they can potentially be entirely different. Both come from the meat rendering process, and meat meal is a dry product made from the combination of animal flesh and skin, but without any bone, feat, heats and so on. It has been drained with the water content of the meat removed, which actually makes meat meal even richer in protein than a slab of fresh meat. Named meat meals are excellent ingredients to find in the dog food you are feeding your pup, but make sure it is stated where the meal comes from. You want it to say for example “chicken meal” or “lamb meal,” and not just “meat meal,” as you should always be suspicious of a product that seems unwilling (or unable) to say where their main protein source derives from. For dogs, what matters the most is actually the smell of the food they’re eating, rather than the taste. A fun fact is that while humans have about 9000 taste buds – allowing us to savor even the subtlest flavors – dogs only have about 1700. Smell, how, however, is a whole different thing! Where humans have somewhere around 5 to 10 million sensory cells in our noses – dogs have somewhere close to 125 million. Quite a difference, isn’t it? When looking at it like this, it suddenly makes a lot more sense why the smell of your dog’s food is what truly matters. As humans, we might not even realize that our furry buddy’s food smells much at all, but for a dog – the smell of the food can be what makes him or her like it, or hate it. The term “natural ingredients” gets thrown around a lot nowadays, especially in relation to pet food, but what does it actually mean? The AAFCO (Association of American Deed Control Officials) define it as ingredients that are derived from animals or plants, which may then have been rendered, exposed to heat, purification, hydrolysis, extraction, fermentation or enzymolysis, but not to any type of chemically synthetic process. In plain English, so to speak, this would refer to a product free from artificial colors, flavors, preservatives, and other ingredients. Worth noting, however, that just because a dog food is advertised as natural, it does not guarantee the quality of the product, nor of the ingredients used to make it. If you choose to change your dog’s food, you also need to be paying attention to the feeding instructions that come with the product. A common misconception is that you can feed the same quantity of food regardless of the product, which is why dog owners tend to continue feeding the same amount even when switching brands. What quantity to feed depends entirely on the ingredients that have gone into making the dog food, as more protein – for example – might mean that your dog needs less than what they would need of low-quality dog food. Always check the feeding instructions and feed in accordance with your dog’s weight. A very common ingredient in low-quality dog food products is corn, and some will even proudly display it on their product packaging. There is nothing wrong with corn and it is not harmful to your pet, but it also does not contribute with any nutrition as the canine body is unable to process it. The real reason why some brands have chosen to add it is simply that it is a cheap product that works well as a filler. Corn is not considered a quality ingredient and has no place in good dog food. Its presence is usually an indicator that the dog food in question might not be that great. Making your own dog food can be a great way to save money, and also to know exactly what goes into the meal you feed your fur friends, but it is important to remember how time-consuming it is, and also that it is crucial to follow recipes to make sure you don’t miss any crucial nutrients. An imbalance in nutrition can have devastating health consequences, so while homemade dog food can be great, it is also a massive responsibility to cook food for your dog. Our dogs deserve quality food, and many brands now pride themselves with using human grade ingredients; meaning ingredients that are fit for human consumption. This raises the question if a human could survive eating dog food, but the answer is most likely no. This is not because dog food is bad (assuming you feed a high-quality product), but more a result of dogs and humans needing different nutrition to thrive. Dogs, for example, do not require vitamin C in their food, as their bodies are able to produce enough of it themselves. For this reason, not all dog foods contain enough vitamin C, which would cause malnourishment if a human tried to live off it. We spend so much time and money to provide our dogs with the best dog food, the most complete nutrition and ingredients that are even fit for us humans, but many dog owners forget the importance of washing the food bowl regularly. Can you imagine eating off of the same plate for days, weeks, months or years – without washing ever washing it? 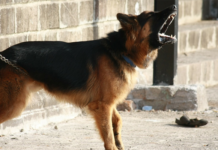 This is the case for many dogs, and it can cause health problems due to bacterial growth. Always make sure to wash both the food and the water bowl as often as possible, and keep the area where your dog eats clean.